The family Gypsophila contains eighty species and is family of the Dianthus. The plant initially grew in dry-dripping places along rivers and water puddles. In the wild, this plant still grows in parts of Europe and Asia. 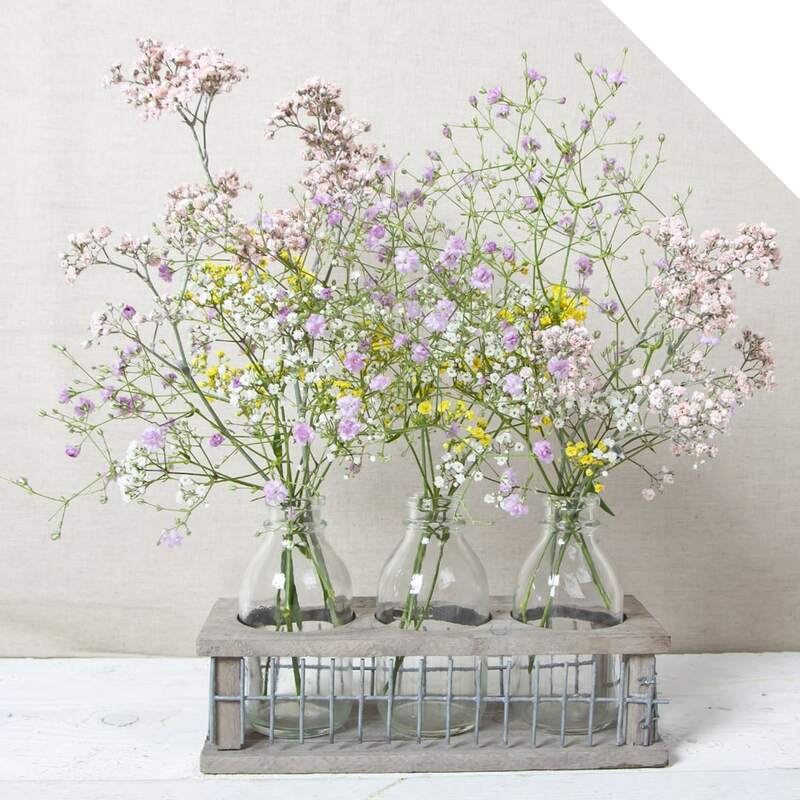 The name Gypsophila consists of two words; “gypsos” which stands for chalk and “philos” what stands for beloved. The symbolism of this flower is a beautiful one. If you give a bouquet of Gypsophila, you give eternal love and innocence. If you have Gypsophila in the garden, the flowers blossom from July to October. But like a cut flower, the flowers are year-round available. 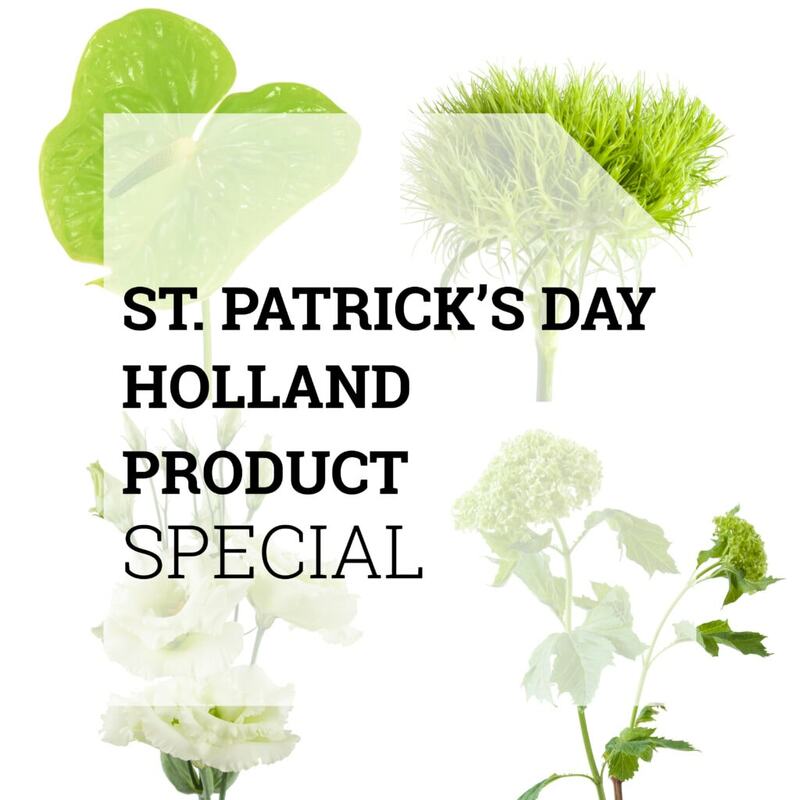 Gypsophila is a favorite cut flower, and florists use the flowers a lot in bouquets. 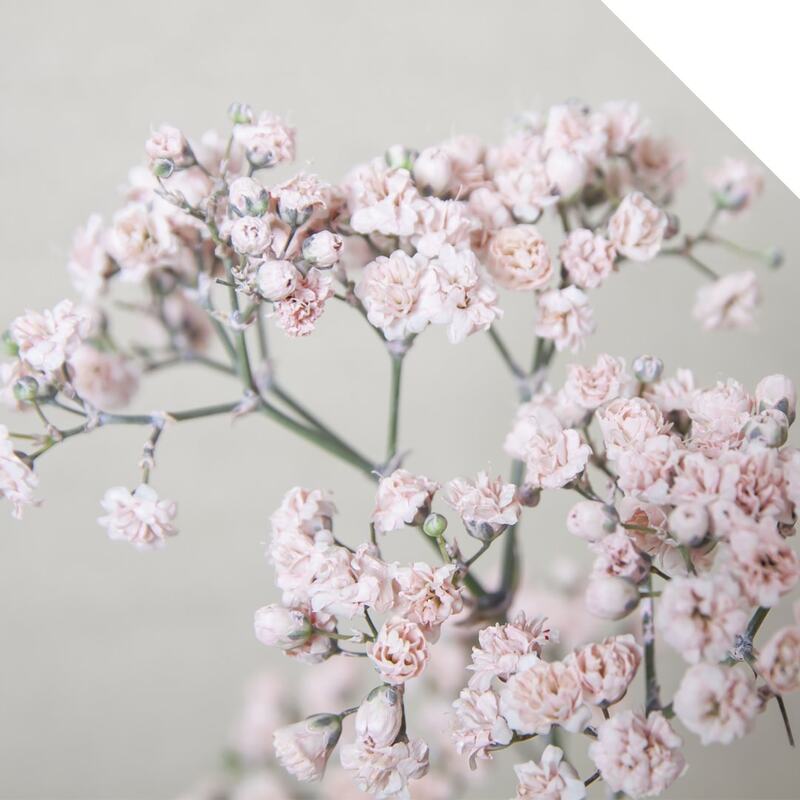 For years Gypsophila has been on the list of top 10 most popular cut flowers. The little white (or pink) flowers combine beautifully with many different flowers. By nature, the flowers are only available is those two colors. But nowadays, with the help of coloring, many colors are available. Because of this, you can use the flowers more ‘seasonable’. For example, with Christmas, the colors gold and silver are popular and with Valentine’s Day red. You can endlessly combine with Gyps because of all the possible colors. The most classic way is Roses combined with white Gyps. But what do you think of a bouquet with Gyps, Gerbera, Protea, Allium, and Antirrhinum? Play with colors and shapes, make a white bouquet or create a bouquet with height. Check the flowers when you receive them, stems must be thin and green. 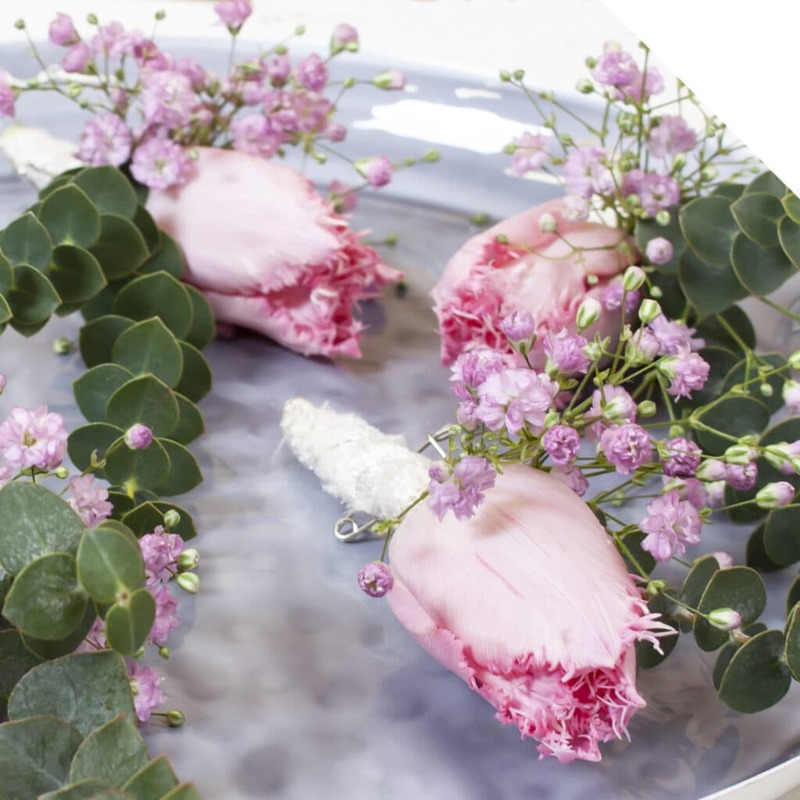 Cut the flowers with a clean and sharp knife and shake the flowers slightly. Then put the flowers in clean water and use a clean bucket. 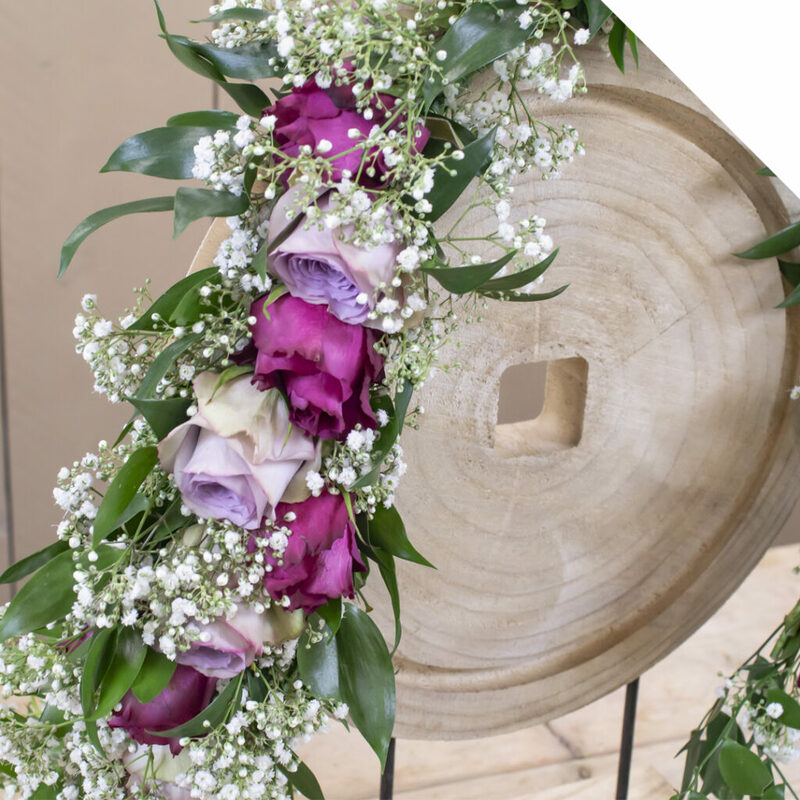 You can use Gypsophila also as a dry flower.